Are You Ahead Of The Curve Or Behind The Game? 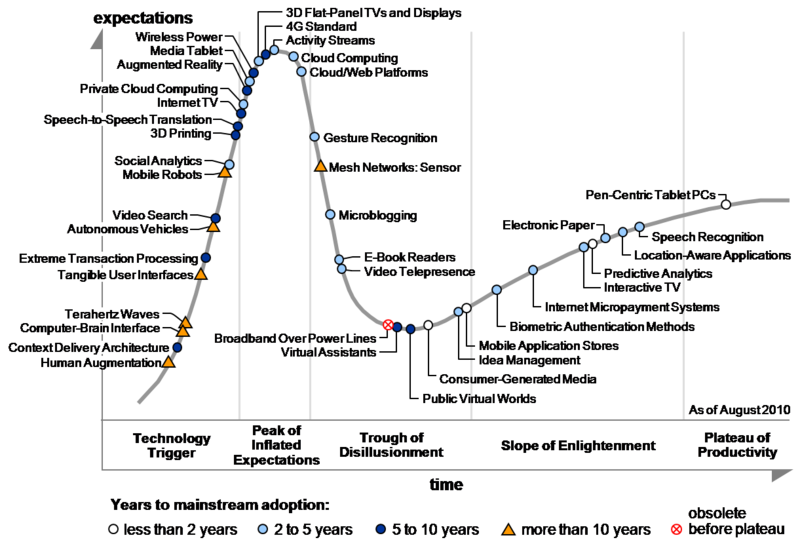 Last week I talked about Everett Rogers' model for the diffusion of innovations, and asked what kind of company are you with response to changes and innovations in your industry? In that article, I was focused on asking how your company responds to innovations and change in your industry and market. Now I want to use that understanding to develop some perspective on the current Idea Management System software market. I'm going to talk about the industry shifts that are happening, and will continue to happen, as companies adopt innovation processes at different rates. 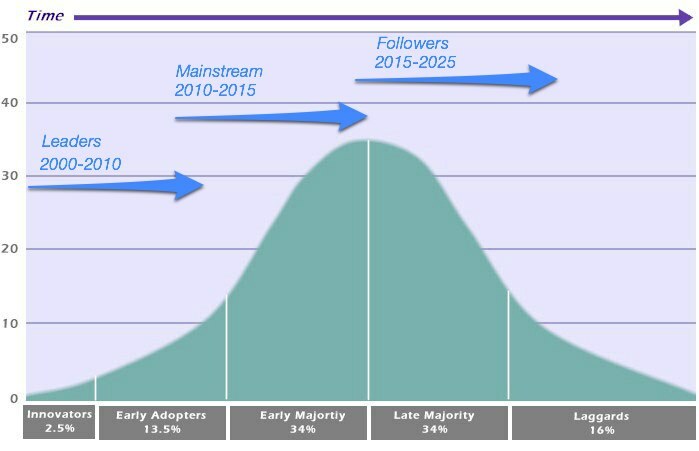 The diagram below shows the 5 categories from the diffusion of innovation model - innovators, early adopters, the early majority, the late majority, and laggards. 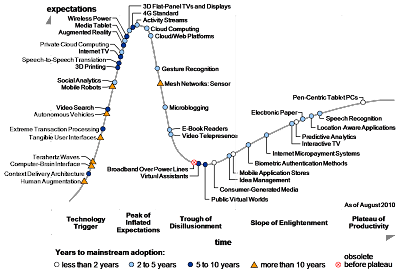 Superimposed on the model, however, are three distinct time periods for the adoption of Idea Management Systems for managing innovation processes. In a nutshell, there are three phases for the diffusion of Idea Management System in to the market: 'Leaders' adopting the system before the majority of the market, the 'mainstream' coming aboard afterwards, and the 'followers' trailing behind. Before I talk about what this means for organizations and why when you adopt rigorous innovation processes matters, I'll take a brief moment to explain the phases. Idea Management System software really started coming in to existence in the mid 1990s, as the suggestion box moved online. 'Innovators' - companies at the leading edge of adoption of Idea Management Systems - started using Idea Management Systems seriously from the early 2000s onwards. Early software solutions to support Idea Management such as BrightIdea.com and Imaginatik's Idea Central became available and supported this adoption. Over the decade from 2000 to 2010, new and powerful Idea Management solutions entered the market, existing solutions continued to improve, and organizations matured in their understanding of innovation and its challenges. It was no longer just the 'innovators' (the first 2.5%) adopting Idea Management Systems, in the 2000-2010 decade the early adopters also came on board. A lot of the evidence for this change, while real and tangible, has a flavour of being anecdotal, such as an increased buzz around innovation processes in online conversations and reporting, and a visibly greater focus on innovation processes and supporting software systems within organizations as their CEOs and innovation officers discuss their innovation progress in the media. Gartner are currently showing Idea Management as being "2 to 5 years" away from mainstream adoption. Similarly, Idea Management software solutions are typically now regarded as having gone through three or four generations of development. We are well past the early stages of innovation in idea management processes and supporting technology, and in to fairly mature product offerings quite ready for adoption by both early adopters and the early majority. While neither Gartner's crystal ball or mine guarantees perfect predictions, I anticipate that the adoption of Idea Management Systems will continue to be predominantly by the early majority for the next several years. This is marked on the top diagram above as the 'mainstream' phase. Once the mainstream have adopted Idea Management processes, we might expect that from perhaps 2015 to 2025 the remainder of market, except the "laggards" - who almost by definition will continue to hold out - will have adopted systematic approaches to innovation. They will face additional pressure to do so in order to maintain their market positioning relative to an increasingly innovative mainstream. All other things being equal, organizations adopting a disciplined approach to innovation management using an Idea Management System in some form or other in the leader phase have the opportunity to gain experience and maturity in innovation and to open up differentiation, competitive advantage, and increased revenue and reduced costs relative to their competition. While there are significant efforts and risks to adopting in the innovator stage where a 'frontier' mentality of willingness to work with early forms of technology and develop the required processes and expertise may have been required, we are now well past that stage. Organizations adopting Idea Management Systems at the tail end of the leader phase stand to gain many of the benefits, without as great an effort as that expended by the innovators who adopted Idea Management Systems early in the 2000s. Organizations delaying the introduction of a systematic approach to innovation beyond the next 5 years risk falling behind the mainstream. If this occurs, they forfeit the potential advantages accruing from innovating before many of their competitors, but also face potential disadvantages from a deteriorating relative market position. What matters, of course, is what is happening specifically in your industry. If your industry has been adopting systematic approaches to innovation for the last several years and your company has not, you may in fact already be in the 'follower' phase for your industry. Conversely, if no-one in your industry has yet adopted a systematic approach to innovation, you may be in a position to take the position of 'innovator' in your industry. This may allow you to create significant differentiation and sustainable competitive advantage and to create disruptive innovations within your industry. The diffusion of systematic approaches to innovation management using Idea Management Systems is entering a new phase. This will have the potential to reshape competitive positioning within industries. How it will affect you will depend on the specifics of what has been happening already within your industry. If you have already adopted an Idea Management System, you will stand to continue to gain. If you have not yet adopted such a system, there may be merits in considering adopting such a system in the near term.